‘Immi is probably in the best kind of form that I’ve ever seen. He doesn’t bowl bad balls anymore. He always used to take wickets, but now you don’t see bad balls, which makes him really difficult to play!’ AB de Villiers summed it up perfectly after the Proteas’ first ODI against Sri Lanka at the end of January. Since then, his assertion has only been further vindicated over the last two ODIs, where Tahir has emerged as the most effective bowler in the series, returning figures of 2-26 and 2-21 to back up his match-winning 3-26 in the opening match. During the T20 series, Tahir also proved himself to be almost unplayable at times. And while Sri Lanka are far from the most fearsome opponents at present, Tahir’s limited-overs success is simply unquestionable. His consistency and wicket-taking ability have seen him rise to third on the ODI bowler rankings, while he leads the T20 rankings. 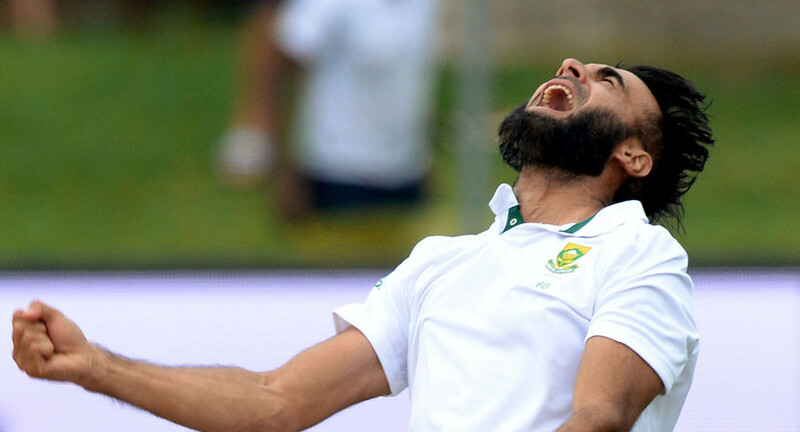 Tahir has become such an exclusively integral member of the Proteas’ limited-overs set-up that it’s easy to forget that he turned out for South Africa in the Test arena as far back as 2011, but has only played in a total of 20 matches (with a disappointing average of 40.24). At the time of Tahir’s debut, Graeme Smith suggested he was the sort of threatening spinner that they had been desperately searching for at Test level, and success was widely expected to follow. Having had to patiently wait to earn qualification to play for the Proteas, the Pakistan-born 32-year-old (at the time) was hungry for action. But perhaps too hungry. Seemingly in his desperate desire to offer a constant threat, Tahir dished up an array of delivery variations every over. Rather than patiently work an opponent over with his stock delivery, the googly was overused, while he failed to display the necessary control and patience for Test cricket, and an all-too-regular bad ball was a virtual inevitability. Horror performances saw him concede 260 runs against Australia in Adelaide in 2012 without taking a wicket, while he leaked 197 runs against Sri Lanka in Colombo less than two years later (taking three wickets). In his last Test appearance, Tahir returned figures of 2-140 against India at the end of 2015, which saw the selectors finally run out of patience. 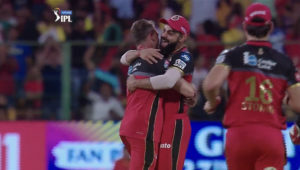 Since then, they’ve primarily turned back to the more conservative – but reasonably effective – tactic of fielding a holding spinner, who can limit the run-scoring from one end and help build pressure, while the pacemen rotate at the other end. It’s a strategy that has reaped decent rewards predominantly as a result of the strength of the Proteas’ pace attack, but just recently, Tahir has begun to offer up the kind of performances that must make him a contender to have one more shot at Test cricket. Why not? As pointed out by De Villiers, that one bad delivery appears to have disappeared from his bowling, which was the one factor that made him a liability at Test level. Over what is now a six-year international career, and at the age of 37, he appears to know his game better than ever. His control seems to be the best it has ever been, while his stock leg-spinner is working so well that he doesn’t have to revert to the comfortable googly with the regularity of overkill. In March, the Proteas will return to Test duty against New Zealand away from home. The obvious option would be to continue with Keshav Maharaj, who has certainly done nothing wrong, but surely there is also the opportunity to give Tahir one last roll of the dice? Yes, Tahir is almost 38 and is not a long-term option. And perhaps he should be managing his work load in order to try and stretch his longevity to possibly still feature at the 2019 World Cup, as he believes he could. But the fact remains that in recent times, he has once again looked like a bowler with Test credentials. And when one considers that he looks to be in the form of his life, surely it would be an injustice to not chuck him the ball one more time to see what he could do with another largely unexpected opportunity in the elite longer format of the game?